Lock in a great price for Best Western Plus Sands – rated 8.2 by recent guests! Did not eat breakfast at the hotel. It was not included although we received $10 off certificate. The hotel is close to transportation and the hotel is near the water. It's an interesting walking area. The king size bed was great and very comfortable. The view from the balcony was lovely and we could walk to the 3 Brits pub on the corner where the fish and chips were excellent! The beds were very comfortable, all the staff was friendly and prompt. Everything was super clean despite the renovations. The room was clean and comfortable. The room far exceeds the rest of the property. 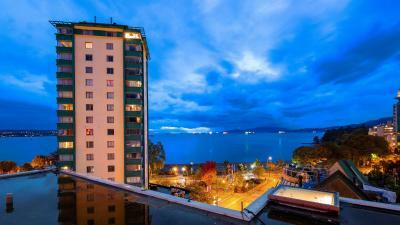 The hotel is well situated if you are interested in spending time in English bay. Clean, well appointed room. Good location. Easy access. We loved how nice all of the staff is, This hotel is also in an amazing location, close to the water and Stanley park. We also enjoyed all of the food options walking distance. Easy access to English Bsy and Stanky Park. Ideal for someone who likes walking and running. The room is very clean! The bathroom tub needs a replacement although it is still functional and i love the shower. Bathroom is kinda small but it is okay! Location is great! It is at the bayside, near Stanley Park and stores are everywhere! I did not regret booking in this hotel! Love it! Although there’s some construction going on on their other building, it didn’t matter at all! Thanks Best Western Plus Sands! You never fail us!! The staff was EXTREMELY nice and caring. They made sure we had what we needed, and made suggestions. Best Western Plus Sands This rating is a reflection of how the property compares to the industry standard when it comes to price, facilities and services available. It's based on a self-evaluation by the property. Use this rating to help choose your stay! 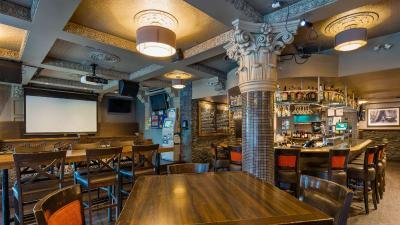 One of our top picks in Vancouver.Featuring an on-site restaurants and 2 bars, the Best Western Plus Sands is in the heart of Vancouver, only a 4-minute walk from English Bay beach. Free Wi-Fi is available in all rooms. A flat-screen cable TV is featured in each air-conditioned guest room at this hotel. A coffee machine is provided. A work desk is available. The Park restaurant specializes in fresh seafood and pasta and is open for breakfast, lunch and dinner. 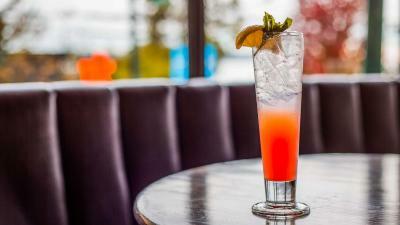 The Bayside Lounge offers views of English Bay with occasional live music. An on-site fitness center and relaxing sauna feature in the Vancouver Best Western Plus Sands. The front desk is available 24 hours a day. Guests can take advantage of the coin laundry facilities. 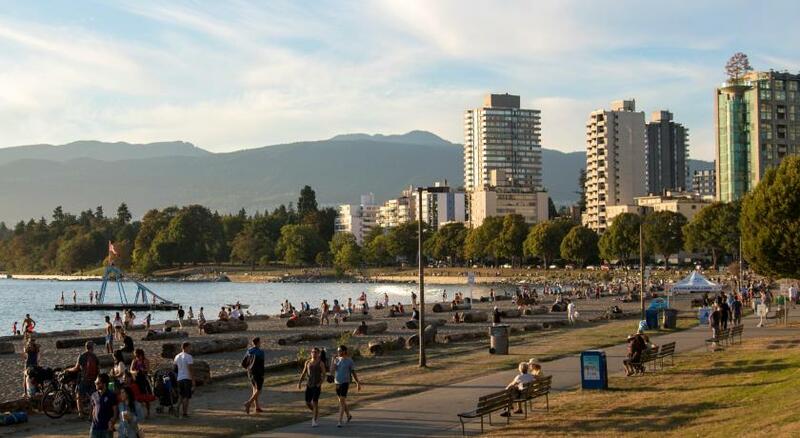 Stanley Park, Coal Harbour, and Robson Street shopping area are all just over just over half a mile away. Third Beach is an 11-minute and Granville Island is a 10-minute drive away. When would you like to stay at Best Western Plus Sands? Public parking is available on site (reservation is not possible) and costs CAD 17.50 per day. This air-conditioned room offers a flat-screen cable TV and a coffee machine. A work desk is provided. A private bathroom includes a hairdryer and free toiletries. Free WiFi is included. This spacious, air-conditioned room offers a flat-screen cable TV and a coffee machine. A work desk is provided. A private bathroom includes a hairdryer and free toiletries. Free WiFi is included. This air-conditioned suite offers a flat-screen cable TV and a coffee machine. A work desk is provided. A private bathroom includes a hairdryer and free toiletries. Free WiFi is included. Offering a sofa bed, this air-conditioned room offers a flat-screen cable TV and a coffee machine. A work desk is provided. A private bathroom includes a hairdryer and free toiletries. Free WiFi is included. Offering a view, this air-conditioned room offers a flat-screen cable TV and a coffee machine. A work desk is provided. A private bathroom includes a hairdryer and free toiletries. Free WiFi is included. Offering a sofa bed, this air-conditioned suite offers a flat-screen cable TV and a coffee machine. A work desk is provided. A private bathroom includes a hairdryer and free toiletries. Free WiFi is included. 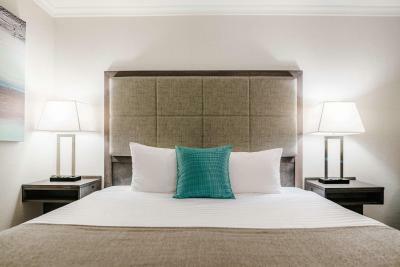 This spacious, air-conditioned suite offers a flat-screen cable TV and a coffee machine. A work desk is provided. A private bathroom includes a hairdryer and free toiletries. Free WiFi is included. Offering a balcony, this air-conditioned room offers a flat-screen cable TV and a coffee machine. A work desk is provided. A private bathroom includes a hairdryer and free toiletries. Free WiFi is included. Eddy has been greeting guest at the Sands Hotel for over 21 years. 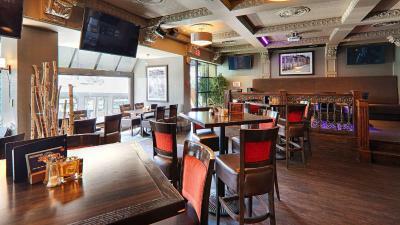 All Staff are very friendly and knowledgeable of Vancouver! Stop by and say "Hi" even if you don't have question. 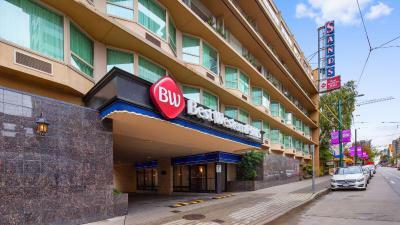 Hotel surroundings – This neighborhood is a great choice for travelers interested in walking, food and shopping – Check location Excellent location – show map Guests loved walking around the neighborhood! House Rules Best Western Plus Sands takes special requests – add in the next step! A CAD250 damage deposit is required on arrival (around USD186.97). This deposit will be fully refunded 7 days after check-out, as long as there isn't any damage to the property. Best Western Plus Sands accepts these cards and reserves the right to temporarily hold an amount prior to arrival. Please note the property is undergoing guestroom renovations. Intermittent construction noise may be noticeable weekdays between 10:00 and 17:00. A damage deposit of CAD 250 is required on arrival. That's about 186.97USD. This will be collected by credit card. You should be reimbursed within 7 days of check-out. Your deposit will be refunded in full by credit card, subject to an inspection of the property. Amazing, clean rooms, close to seaside and downtown, very satisfied. The hotel is undergoing renovation, however, we knew about the construction before going. Was clean and location was good. The room service guy didn’t want to deliver to my room. It it very nice to walk around the hotel. The check in process was drawn out. The front desk is, arguably, under staffed. One of the elevators was out of service. When booking online there isn’t enough indication the hotel is under renovation. Charged my credit card 4 times. Lied about breakfast included. Location is the best. 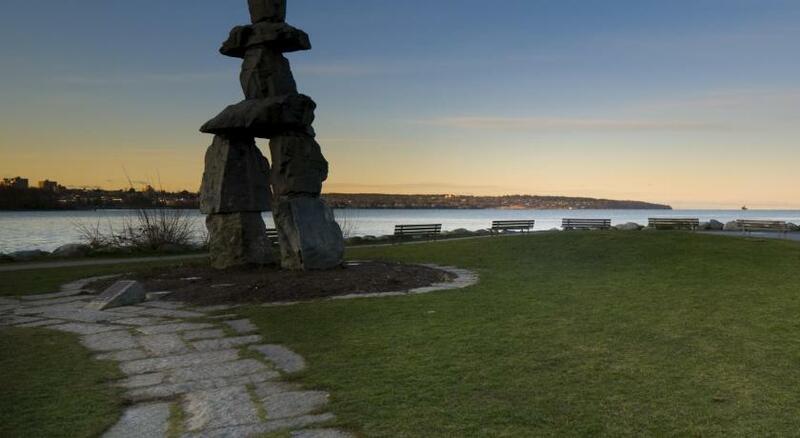 Right on English bay and close to Stanley Park . Bus stop right outside and had many restaurants shops and anything you need is close by. 10 minute bus ride to downtown and Gastown. Rooms were big and beds were great. Bathrooms were very good also, the rooms may be getting a little old but everything is working and super clean condition. Housekeeping and staff were helpful and friendly and professional. There is a pub under the hotel next to the lobby with good food and busy. Booking.com failed to tell me the hotel was under renovations. Hotel renovations meant only one elevator was working and I often took the stairs to go down. Front desk was in a temporary spot due to renovations and not open on check-out. Could not use BW gift card since software update was being run and guest bookings could not be accessed. Never got an email receipt for expenses. 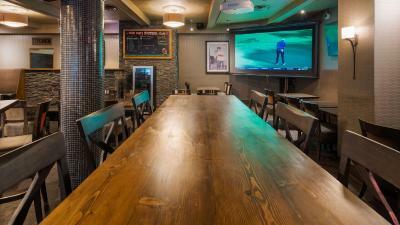 Location close to English Bay and plenty of cheap eats on Denman Street. Bus stops near hotel, mini fridge, microwave and coffeemaker in room.